We always say SAQ As and Ds get all the glory and attention. This is because a majority of our SAQ clients are e-commerce companies and therefore they apply SAQ A or A-EP depending on where their credit card information is collected. However, recent times, we have been working on a well-known retailer and were told that SAQ D would be the one that applies to us. Now the SAQ was passed to them by the bank and the bank insisted that they do SAQ D-Mer. Now this post is going to assume that you have some working knowledge on what SAQ’s are in PCI-DSS world. Self Assessment Questionnaires are one of the most misunderstood concepts in PCI. They are like Donald Trump’s foreign policy and the plot of Interstellar all mashed into one misunderstood mess. Often because acquirers find it so hard to understand, they just tell all their merchants that they should go for SAQ D.
Now we have fought for our clients before – where we overturned the acquirer insistence for one of our e-commerce clients to do an SAQ D-Mer, and instead got them to agree that an SAQ A-EP is sufficient. SAQ A-EP = around 140 questions. SAQ D-Mer = around 320 questions. Big difference. Why is this important? We firmly believed in the concept of overdoing PCI is not a good thing. Why? Because our clients have other things to do and limited time and money to do these. Ideally, sure, everyone should go on Level 1 Certification. But the reason why the PCI Council created a whole bunch of ‘levels’ and then types of SAQs is simply because different businesses face different risks. It doesn’t make sense for a neighbourhood grocery that accepts 10 cards a month to implement the same million dollar controls as, say, Tesco or Exxon Mobil. So. Don’t overdo things, but don’t under-do it as well. a) Their credit card terminals are separate and not integrated with their POS machines and connected via USB. c) However – we found out that the Credit Card terminals have their own connectivity to their own ethernet switch (lets call it Credit Card switch) that connects to an ISDN router and directly to the bank. This means, there are two flows – once the credit card is used on the Credit Card terminal, the card information is sent out directly via ISDN to the bank. Whatever approval etc that comes back, it will go through the USB to update the POS. The crunch here is that NO CREDIT CARD information is ever sent back to the client’s environment. Everything is out through the bank environment – as the Credit Card Switch all belongs to the bank. It’s only located on the customer premise but the customer has no access to it – physical or logical. Seems like it. Technically, the question here is whether a credit card terminal connected to a POS machine with USB is considered ‘standalone’. Our argument here is yes, as long as no credit card info flows through that USB connection and only approval/decline/transaction dollar amounts etc. Remember the USB connection connects the terminal to to the POS machine (a Windows box). Credit card info flows out the other way, directly to the bank via a circuit switched technology like ISDN (i.e dial out). For the millenials, ISDN used to be the granddaddy of broadband. If you have ever gone through internet connectivity era with normal dial up 14.4kbps, ISDN is like what God would send to us out of mercy and grace. Again, the argument here is ‘connected’. What does this mean? Is it through IP means, or even an RS232 connectivity is considered connected? Our reasoning is that this is USB connection and no card data flows through this ‘connection’ and we will use this reasoning once we get on the table with the acquirer. No they aren’t. They are on ISDN direct to the acquirer. No they don’t. 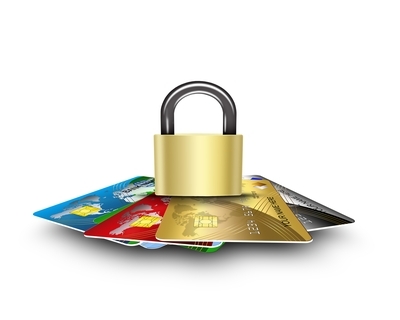 In fact, no credit card info is stored, processed or transmitted anywhere in the customer environment. Except for the physical protection over the bank equipments residing on customer premise. They do have some credit card info on paper which they need to protect, but these are manual forms they need to fill out for refund process. And the process is dictated by the bank. f) Your company does not store cardholder data in electronic format. So you see, except for the tiny word ‘connected’ in question b), our client does meet all the SAQ B criteria. It’s really ridiculous to have someone go through the entire SAQ D when they do not have card holder data in the environment they control. And what if they have 80 branches, each with 10 POS terminals and servers? That would mean 800 systems in all branches come into scope for pentest, internal scans etc? No wonder I hear some retailers using PCI as a cuss word these days. So, we don’t know how this is sorted out yet, but we will soon, and perhaps that will constitute another post. For now, if you need any help with your PCI-DSS – SAQ or Level 1 certification, drop us an email at pcidss@pkfmalaysia.com. This entry was posted in IT Audit, IT Compliance, IT Security, PCI-DSS, PKF Avant Edge, Risk Management, Technology and tagged certification, compliance, PCIDSS, saq by pkfavantedge. Bookmark the permalink.